With almost 2000 km of coastline and 1185 islands and islets of rich variety, Croatia offers a diversity and beauty that is rarely found – or sought – by the majority of beach bums and sun seekers. Whether you are enchanted by secluded coves backed up by wind-mottled cliffs or bewitched by traditional fishing villages where sapphire seas lap the bows of bobbing boats, Croatia has all you could wish for, and then some. While many travellers to this fine country choose to venture inland, to the engaging and life-affirming capital Zagreb, perhaps via the magical, pristine beauty of the Plitvice Lakes National Park, I shall be keeping things strictly Dalmatian here. It is important to make one thing clear from the off: many of Croatia’s beaches consist of pebble rather than sand. Don’t let that put you off, however, Dalmatia is home to a large proportion of Croatia’s best beaches, which many argue are among the best in Europe or anywhere else. For instance, one image you will see on the covers of guidebooks before you arrive and innumerable postcards once in Croatia, is that of the narrow white promontory of a beach: Zlatni Rat. On the southern coast of the island of Bra?, the pebbly finger juts some 600 metres into the Adriatic and shifts with differing tides and winds. Bol is just one of the many island options accessible from the port city of Split. Often used as a coastal transit point for travellers eager to get to the beaches, Split is sometimes overlooked as a destination in its own right. If you have the time, however, Croatia’s second-largest city has a character and authenticity that is definitely worth sampling. Housed between dramatic peaks and the Adriatic Sea, the old town of Split allows visitors to immerse themselves in history. The imposing ruins of (Roman emperor) Diocletian’s Palace with its labyrinthine network of backstreets now heave with people, bars, shops and restaurants: a fine place to get lost for an afternoon or evening. Back to the islands, and if it’s a sample of the high-life you crave, get yourself over to Hvar Island. The main square of Hvar Town and the interlinking mediaeval backstreets fill to the brim during July and August, but a couple of months either side of the peak tourist season and it has a slice of the enticing historicism of Venice. For daydreamers, head to the famous Carpe Diem bar and sip an overpriced but well-made cocktail as the sun goes down over the million-dollar yachts in the harbour that might, one day, be yours. Once reality – and the hangover – bites the following, wander through the many fields of lavender, rosemary and heather that abound on the island for a peaceful olfactory remedy to any stresses (or bad heads) that remain. Whether you island-hop or get back to the mainland is up to you, but any trip to Croatia would be incomplete without visiting the ‘Pearl of the Adriatic’ – Dubrovnik. 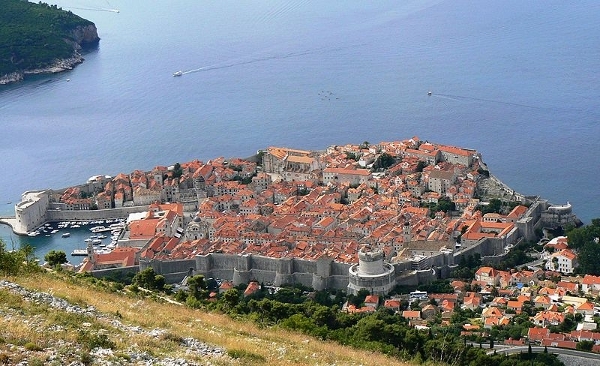 You would be hard-pressed to find a city in a more picturesque location than the Dubrovnik old town. Seeming to have almost burst free from the constraints of the coastline, stretching its fortified walls forth into the turquoise Adriatic, the old town is a sight to behold from afar, but get within the ramparts and you could be transported to the 16th century. Whether walking through the marble streets and between beautiful buildings of the Baroque period, or strolling the city walls and gazing down between the sea and patchwork of rooftops, the history – both ancient and all-too recent – is very apparent. With evidence still visible of the 1991 shelling of the city by the Yugoslav army, but also of Napoleon’s 1806 conquest, it is clear the city has had to overcome several potentially fatal shocks in its 1300 year history. 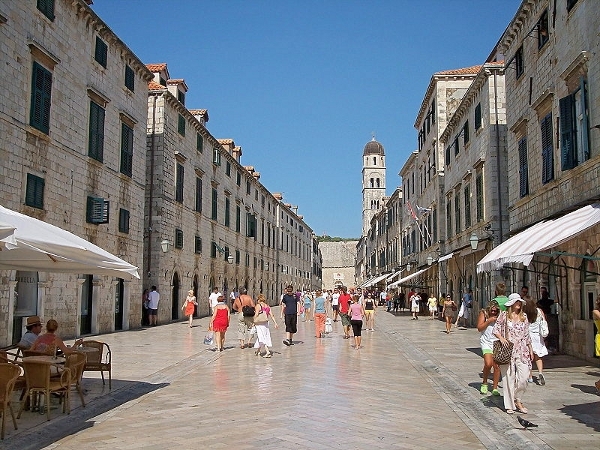 But overcome them she has, and Dubrovnik has re-emerged as one of the most enthralling cities in Europe. There was never going to be enough space in a single article to present anything like all the delights of Dalmatia (sorry, I didn’t get near the 101). But in all honesty, the only way to truly appreciate the natural richness, the geographical diversity and the culinary and bacchanalian delights of the region is to experience them for yourself. I guarantee you will not regret it. If you want to take in the delights of Croatia, Headwater have a number of holidays in the Dalmatian region. Cycle through Hvar, Korcula and Dubrovnik with our Dalmatian Coast Cycling holiday. Or for the walkers our Delights of the Dalmatian Coast guided walking trip will see you tramping through Dubrovnik, Split and the beautiful Krka National Park.